SharkNinja is a consumer products manufacturer focused in the houseware industry with two major brands and several technologies, there sales operations is spread across the globe, with 1000+ employee working under its gable. SharkNinja operates through two warehouses & delivers products through national retailers and DTC via Infomercial, call center, eCommerce stores & marketplaces. SharkNinja soon observed a backlog with their order management workflow, without data synchronization across their multiple selling platforms, they were running the risk of overselling & having to manage multiple order management interface. The next thing that stuck them up was fulfillment, SharkNinja was maintaining their stock in their personal warehouse as well as in the Amazon FBA. So to process any sales orders, they were required to manually read through every order and check the stock availability against each order & create a shipment. 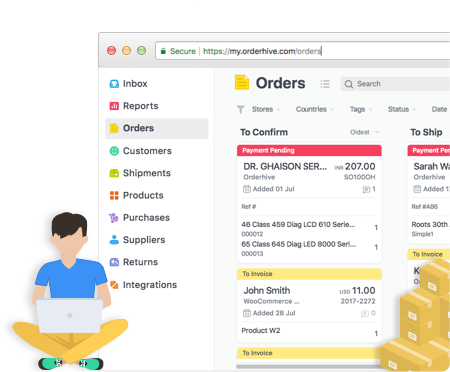 Orderhive provided a customized order management system to Shark Ninja which broaden their functionalities according to their unique workflow. Intelligent order allocation scheduler enables SharkNinja to automatically assign orders based on their fulfillment strategy. After configuring Orderhive automatic order assignment feature, orders got automatically assigned based on SharkNinjas fulfillment strategy, the Orderhive system automatically checks if the item mentioned in the sales order is available on their Amazon FBA warehouse if it is available, orders get fulfilled through MCF ( Multi-channel fulfillment by Amazon) only. However, in case if the mentioned item in the sales order is not available with Amazon FBA, the order will be fulfilled from SharkNinjas warehouse. Automation help them save on man-hours & increase order management efficiency. Attain 90% fulfillment accuracy due to automated order allocation scheduler. Order activity log help them to eliminate low-value fulfillment activities and identify the most efficient fulfillment strategy.